Working with a new contractor on a roofing project can be a headache if you don’t choose your partners wisely. Designers have a lot to consider when trusting someone to turn their plans into a reality within their desired timeline and budget. Choosing the wrong roofer can lead to a drawn-out process that takes longer than you hoped and has you spending more than you agreed to. Or worse, choosing the wrong contractor often means ending up with a roofer that cannot execute your plans, resulting in a shoddy finished product. Here are 9 signs to look for to help you identify a reliable roofing contractor who will live up to your expectations. Quality of workmanship and quality of materials are the recipe for a long-lasting roof. Roofing systems are expensive and they should be built to last. 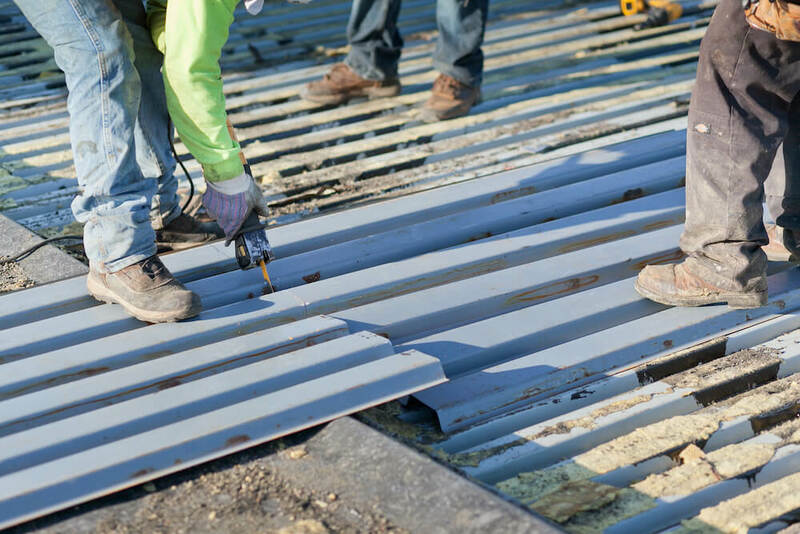 Reliable commercial roofing contractors place a high value on quality of the materials, the skills of the crew installing the system, inspection of the final result, and ongoing maintenance. As a designer, you want to work with someone who can make your vision come to life. Ask to see the contractor’s portfolio to get a feel for how they have brought other designs into reality. Look for projects that are similar in size and scope, and utilize the same materials you’d like to see on your finished roof. Experience and past success can tell you a lot about a roofing company’s present capabilities. 3. Do They Have References? It would be nice to have a crystal ball that would tell you how a roofing project will go, but predicting the future is impossible. The best indicator you have for future performance is an assessment of past performance. Reliable roofing contractors can put you in touch with references who can answer your questions about a contractor’s ability to work with designers and provide insight into their processes, workmanship and quality. Always work with the building owner to follow through with checking those references to get your questions answered. 4. Are They Actually Available To Do The Job? Not all contractors will be able to start a roofing project (or finish it) in the ideal time frame. And not all contractors have the skilled staff to do the job once is starts. While the roofer is responsible for meeting deadlines, it is important to express your expectations for a timeline upfront. Clear and honest conversations about availability, your expectations of the roofing contractor and their expectations of you are essential before signing off on anything. 5. Is The Bid Reasonable? Experienced designers have an idea of how much a roofing project should cost based on their vision. However, it is important to get an accurate feel for what is truly a reasonable cost in the market. This means putting out calls for multiple bids and studying each proposal closely. Be wary of any bid that is extremely high or extremely low. When it comes to roofing, you should expect pay more for experience and quality materials, but it’s worth it to get a finished product that will live up to its expected lifespan. However, an expensive bid is no guarantee of quality. Look for a bid from an experienced roofing company with a long-standing reputation and be wary of any extremely low or high bids. If something feels “off” about a proposal, trust your gut. 6. Will They Stick To The Budget? Once the budget is set, reliable contractors must do everything in their power to stick with it. They do that through due diligence before submitting their bid, however, designers play a role in helping contractors achieve that goal. See that the contractor receives all necessary construction specs as early as possible. Then, the contractor must set an accurate budget based on both the specs and any unforeseen issues that may arise during construction. The more experienced the roofing company, the more accurate their budget and final costs will be. 7. Will They Follow Your Design? Why even design a roof if the contractor is just going to come in and do whatever they want? Unfortunately, some contractors ignore the designer’s vision once a project kicks off. Reliable contractors buy into the vision of the design and stick with it from start to finish. However, unforeseen issues can and do arise during roof construction. Always be sure to ask potential roofers how they handle these types of situations. It will be important to choose professionals who will communicate those issues and work together on a solution, rather than making unilateral decisions at the spur of the moment. 8. How Well Do They Communicate? If communication is difficult during the bidding and sales process, just imagine what it will be like once the project begins. A successful roofing project depends upon clear and timely communication between the roofer and the building owner. A reliable commercial roofing contractor should be accessible, responsive, and their printed and written materials should be cohesive and readable. If it seems like the contractor would rather be anywhere else than talking to you, take it as a red flag. Reliable roofing contractors are enthusiastic about new projects, they show a great deal of excitement about tackling new projects, speak passionately about the work that they do and they take pride in their work from start to finish. Choosing a reliable commercial roofing contractor is a leap of faith for any designer. However, taking the time to call for bids and conducting due diligence can increase the chances of choosing the right team for the project. You can never ask too many questions, and only by asking these important questions can you see the signs that will point you in the direction of the contractor who will bring your plans to life with a well-crafted, long-lasting roof that lives up to your expectations.